Data from the Government of India’s GARV2 dashboard shows that 37 per cent of households in Odisha are unelectrified, even as over 98 per cent of villages in the state have been electrified. 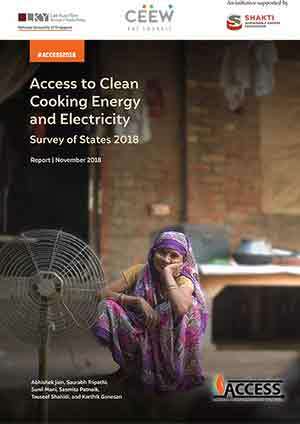 While the difference between proportion of households having grid and using it as primary source of lighting is much lower in Odisha than it is in neighbouring states, there is room to improve household satisfaction from electrification, and the management of grid electricity as a service. To achieve 24x7 power for all, it is essential to go beyond connections and provide adequate, sufficient and affordable electricity supply to all. 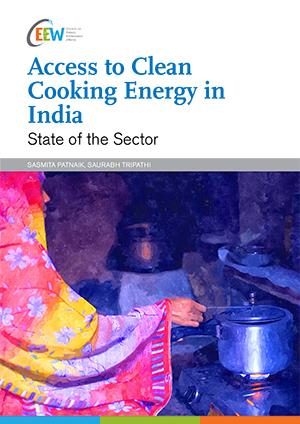 This policy brief presents findings and recommendations, based on the ‘Access to Clean Cooking Energy and Electricity: Survey of States’ (ACCESS) 2015, for improving the household electrification rate and improving the satisfaction derived from electricity for households in Odisha. 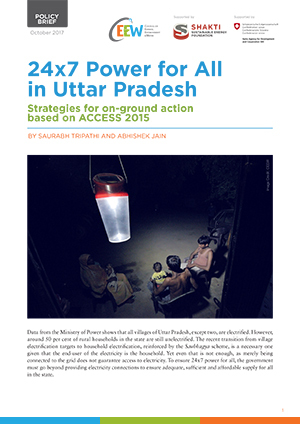 ACCESS 2015 shows that a majority of unelectrified households in Uttar Pradesh live in electrified habitations, presenting a unique opportunity to pace up the rate of electrification. Seventy per cent of households are connected to the grid and 63 per cent use grid electricity as their primary source of lighting. However, over one-third of households still rely on kerosene lamps or lanterns for their primary lighting needs. Ninety per cent of unelectrified households viewed high monthly cost as a barrier to their adoption of grid electricity. 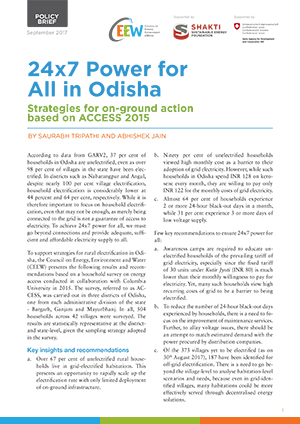 However, while such households in Odisha spend INR 128 on kerosene every month, they are willing to pay only INR 122 for the monthly costs of grid electricity. Almost 64 per cent of households experience 2 or more 24-hour black-out days in a month, while 31 per cent experience 3 or more days of low voltage supply. 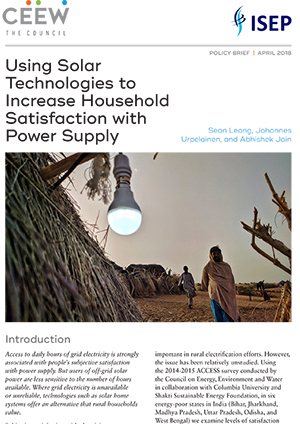 Prioritise the electrification of households in habitations that are already connected to the grid to rapidly increase the rate of household electrification, as this is likely to require limited deployment of heavy onground infrastructure. Target grid-connected districts like Azamgarh, Bijnour, Gorakhpur, Jhansi and Sultanpur, where over 90 per cent of households do not receive electricity. Organise awareness camps in unelectrified habitations to educate households of the prevailing tariff of grid electricity, especially since the fixed tariff of 30 units under Kutir Jyoti (INR 80) is much lower than their monthly willingness to pay for electricity. Reduce the number of 24-hour black-out days experienced by households, by focusing on the improvement of maintenance services. Attempt to match estimated demand with the power procured by distribution companies to allay voltage issues. Analyse habitation-level scenarios and needs, even in grid-identified villages, since many habitations could be more effectively served through decentralised energy solutions. 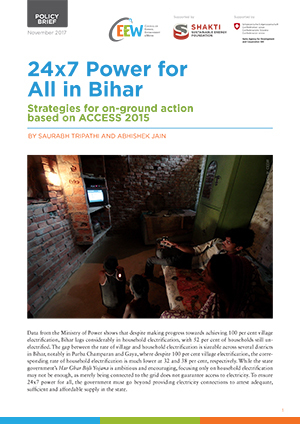 #India #energy #access #SDG7 #SDGs #globalgoals @smartpowerorg http://ow.ly/OCwg30fVr0B 24x7 power is about "access", not "electrification"